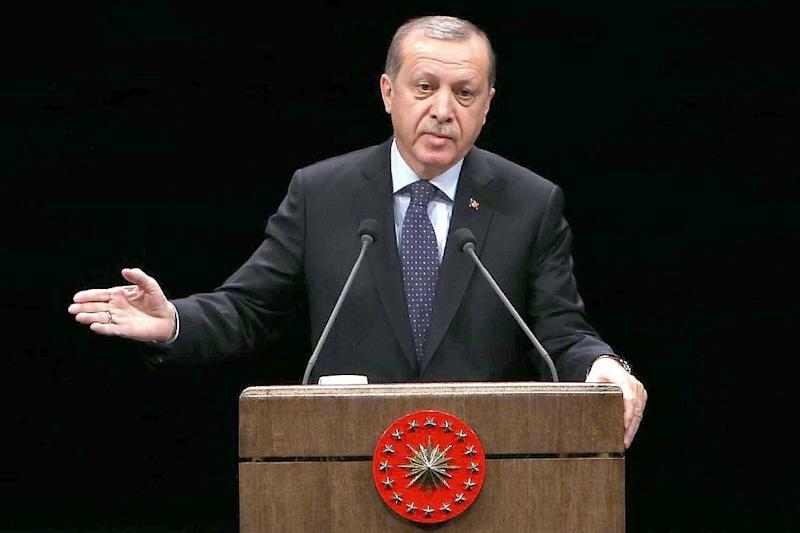 Ankara (AFP) - Turkish President Recep Tayyip Erdogan said his country was moving towards allowing trade with Russia, China and Iran to be conducted in local currencies, as he continues his efforts to strengthen the falling lira. "If we buy something from them, we will use their money, if they buy something from us, they will use our currency," he said, ahead of a trip by Turkish Prime Minister Binali Yildirim to Russia for meetings on Tuesday. Erdogan -- who previously said discussions were underway with Moscow, Beijing and Tehran on the issue -- added that instructions related to this proposal had been given to the central bank. Erdogan repeated a call for Turks to convert the euros, dollars and other foreign currency "under their pillows" into Turkish lira during a speech in the central city of Kayseri. "Our Turkish lira is blessed," he told a cheering, flag-waving crowd after opening a museum in the city named after his predecessor and long-time friend Abdullah Gul. 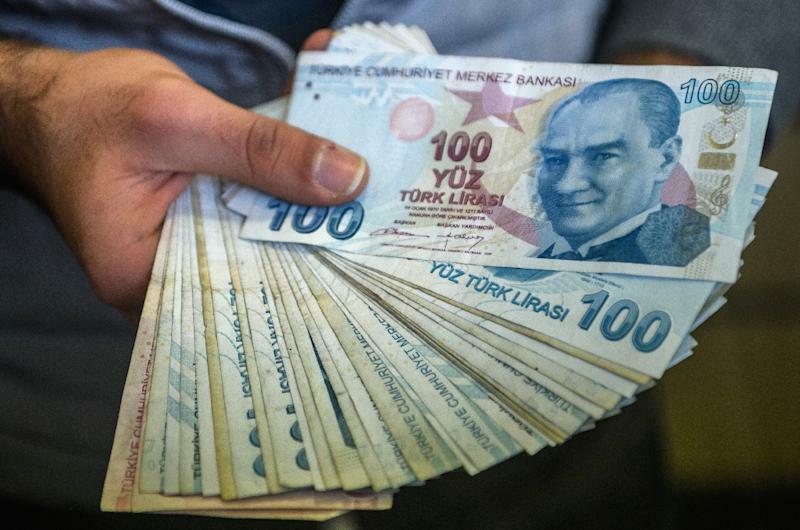 Ankara hopes such demands will help the lira win back the losses it has suffered over the past few months since a failed coup in July when a rogue military faction tried to oust Erdogan from power. In November alone, the lira haemorrhaged more than 10 percent while it continues to reach record lows against a stronger US dollar. The lira on Friday reached a record low of 3.58 to the dollar before making up some of the loss. In another televised speech on Sunday, Erdogan urged owners of shopping malls to "change paying their rent in foreign currencies to TL (Turkish lira)" to prove they are "patriotic". He gave an example of one mall owner who told Erdogan "immediately, I will change to lira" after a brief telephone call. The government also planned for tenders to be offered in the Turkish currency, the president said. Erdogan later repeated his call for lower interest rates and said the government's economic coordination committee which met on Friday for five hours agreed they should be cut. He accused unnamed individuals of attempting to launch a putsch against the country through interest rates, the stock exchange and foreign currency movements. Ankara slashed its growth forecast to 3.2 percent from 4.5 percent for this year as the political turbulence and terror attacks in the past year take their toll. After several months of consecutive rate cuts this year, the central bank announced in November a surprise hike to its main interest rate for the first time in nearly three years, in a bid to support the embattled lira. Hours after the president's first mention of changing currencies to lira, the Istanbul Exchange said it would convert its cash assets "in support" of his call. Meanwhile, Metro Holding's chairman Galip Ozturk said on Twitter that he would give a free ticket to use on Metro Tourism buses to anyone who changed $500 (470 euros) to lira and sends an image of the official receipt to a phone number he provided.